Our Website Collection Notice was last updated and posted in August, 2017. It governs the privacy terms of our website, sub-domains, and any associated web-based and mobile applications (collectively, “the website”), as owned and operated by the SA Independent Schools Block Grant Authority (SAIS BGA). The SAIS BGA website collects the information that is voluntarily supplied, by yourself or your delegate. The information supplied includes personal information to apply for Capital funding, register for an SAIS BGA event, contact details to receive further information about SAIS BGA, management of the project(s) the SAIS BGA is undertaking with you and any other information that you may specify from time to time. The SAIS BGA website has been constructed by MCBI SA and NT Pty Ltd.
By using the website, you agree to the collection and use of information in accordance with this Collection Notice. SAIS BGA follows all legal requirements to protect your privacy. Our Collection Notice is a legal statement that explains how we may collect, use, communicate, disclose and make use of personal information from you including sensitive information about school employees, school governors and others who interact with the SAIS BGA. You will see terms in our Collection Notice are capitalized. These terms have meanings as described in the Definitions section below. “Non-Personal Information” is information that is not personally identifiable to you and that we automatically collect when you access our website and its related login area with a web browser. It may also include publicly available information that is shared between you and others. “Personal Information” is non-public information that is personally identifiable to you and obtained in order for us to provide you access to our website. Personally Identifiable Information may include information such as your name, email address, and other related information that you provide to us or that we obtain about you. Generally, you control the amount and type of information you provide to us. As a visitor to our website, you can browse our website to find out more about our services and organisational capability. You are not required to provide us with any Personal Information as a visitor to our website in these circumstances. The SAIS BGA occasionally uses contractors to assist the SAIS BGA in its functions and discloses relevant personal information to these contractors to enable them to meet their obligations. The SAIS BGA will take reasonable precautions to ensure that those third parties comply with the Australian Privacy Principles. Automatic Information – We automatically receive information from your web browser or mobile device. This information includes the name of the website from which you entered our website, if any. This information also includes the Internet Protocol (“IP”) address of your computer/proxy server that you use to access the Internet, your Internet provider name, web browser type, type of mobile device, date and time of your visit to the website, the pages you accessed and documents downloaded, the authentication credentials entered by you if accessing a restricted site or application, and computer operating system. Log Data – Like many website providers, we collect your visits and logs that your browser sends whenever you visit our website (“Log Data”) for statistical purposes. This Log Data may include information such as your computer’s IP address, browser type, browser version, the pages of our website that you visit, the time and date of your visit, the time spent on those pages, the previous site visited and other statistics. No attempt will be made to identify individual users or their browsing activities except, in the unlikely event of an investigation, where a law enforcement agency may exercise a warrant to inspect our web server logs. This information may be analysed periodically to determine the website’s usage statistics. Email Addresses – The SAIS BGA retains the email addresses of people who send emails through any online forms or via any email addresses published on the site, for the purpose of sending a response. They are stored securely on the servers which host this website and in cloud based servers and will not be used for any other purpose nor disclosed to a third party without your consent. Advisory and other purposes – The SAIS BGA may, from time to time, disclose Personally Identifiable Information to others for advisory, administrative, child protection, legal or educational purposes. Such disclosures will only be in relation to the primary purpose of collection, or for secondary purposes, related to the primary purpose, and which the individual would reasonably expect. 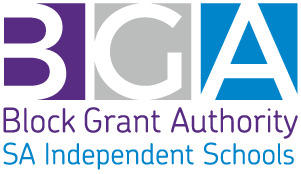 If the SAIS BGA does not receive the information referred to above, it may not be able to provide the relevant service to the school, school employee or others. Legally Required Releases of Information – We may be legally required to disclose your Personally Identifiable Information. Such disclosure may be (a) required by subpoena, law, or other legal process; (b) necessary to assist law enforcement officials or government enforcement agencies; (c) necessary to investigate violations of or otherwise enforce our legal obligations; (d) necessary to protect us from legal action or claims from third parties including you; and/or (e) necessary to protect the legal rights, personal/real property, or personal safety of SAIS BGA, our users, employees, and affiliates. External sites that are linked from the SAIS BGA’s website are generally not under our control or responsibility and you are advised to inform yourself of the privacy statements of those external sites. The SAIS BGA may store Non-Personal Information and Personally Identifiable information in the ‘cloud’ which may mean that it resides on servers which are situated outside of the SAIS BGA. The security of your data is important to SAIS BGA. The SAIS BGA utilises practical protection measures to safeguard against the loss, abuse, and modification of the individual data under our control. Your data is kept in a secured database. We reserve the right to modify this Collection Notice from time to time.